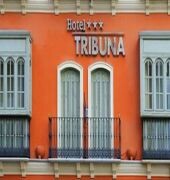 An exclusive Hotel in the historical and commercial center of Malaga. Placed opposite to the emblematic 'Tribuna de los pobres'. Only in a few meters of the future Thyssen Museum, of the Larios Street, of the Picasso Museum and to 500 meters of the Maritime Walk. 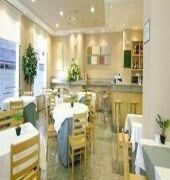 The Hotel is a new establishment with 42 totally equipped rooms. In its restaurant 'La Barbacana' it is possible to enjoy the archaeological remains of the wall nazari, the first enclosure strengthened of the city and remains of a barbican (military construction), which date to the XIth Century. It offers also dishes of traditional gastronomy. 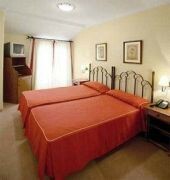 For its location, the Hotel is the perfect election for the housing of the business clients, of the cultural client or of purchases, vacation and certainly, of the devout ones of the Holy Week.